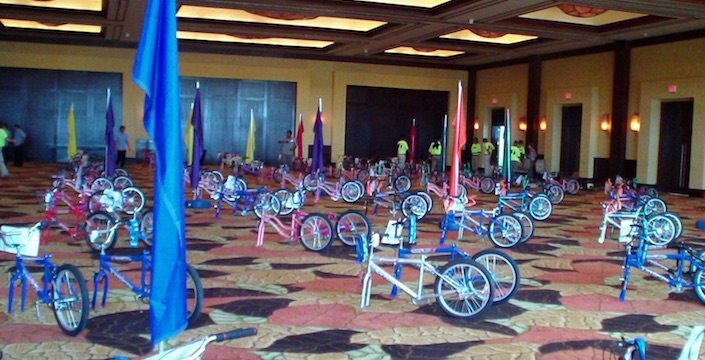 Over the years, our nationwide team of facilitators has led over a thousand Bike Build Donation programs, and no matter how hectic or calm the event itself, one moment never ceases to amaze us (as well as all the teams present). 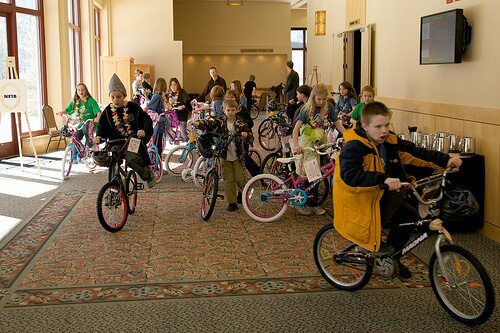 Every single time kids come running in, ready to claim the bicycles that were just built for them, it is simultaneously heartwarming, beautiful, and loud! Sometimes the story of a single bike recipient gets to us through the noise, however, and this is one we’d like to share with you. Robert is an only child, quiet and studious. He’s had to grow up fast; both his parents are disabled and the family is struggling financially due to medical bills. “When we took the bike over to Robert,” said our client, “he was so excited and a bit stunned.” Robert never expected such a gift, or in fact any gift at all. “His parents are so appreciative as they can’t get out and do things with him as much and they can’t wait for him to have a little bit of freedom with the bike,” we were told. No matter how many team building events we have led, brightening the lives of others through our Corporate Social Responsibility programs remains one of our greatest honors.